Preheat the oven to 300°. Arrange the garlic cut side up on a sheet of foil and drizzle with olive oil. Season with salt and pepper and wrap in the foil. Roast the garlic for about 1 hour, until very soft. Let cool, then squeeze the garlic cloves out of the skins and mash in a small bowl with the butter and soy sauce. Light a grill or preheat a grill pan. Rub the roasted garlic soy butter on the inside of the scallop shells. Place 3 morels in each buttered shell and top with a scallop. 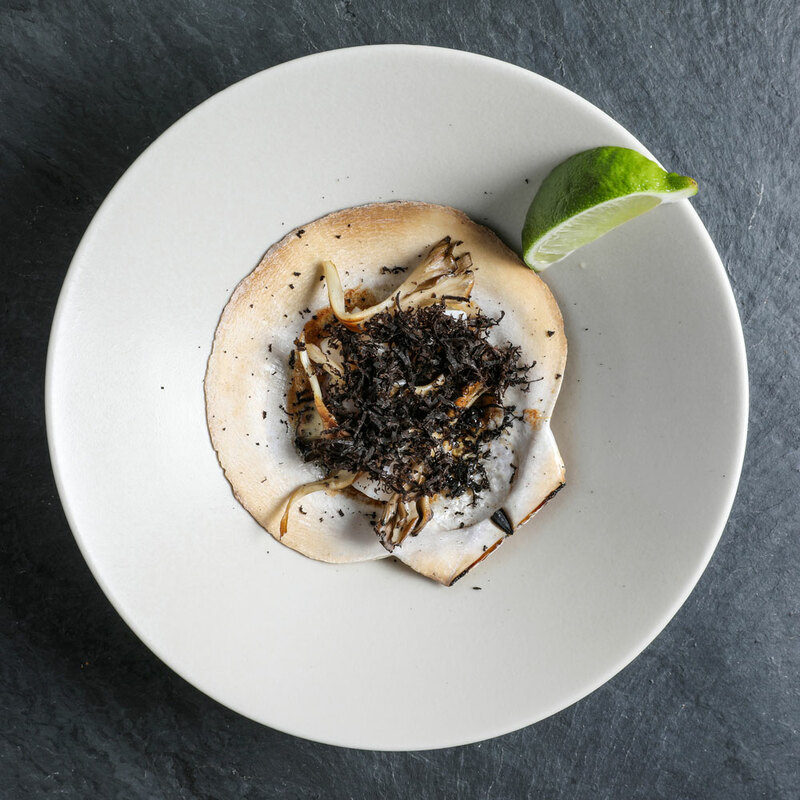 Place the scallop shells on the grill and cook over medium-high heat until the butter starts to brown and the scallop are just cooked through, 3 to 5 minutes. Garnish the scallops with uni and parsley and serve with lime wedges. Ask your fishmonger for 4 single scallop shells.